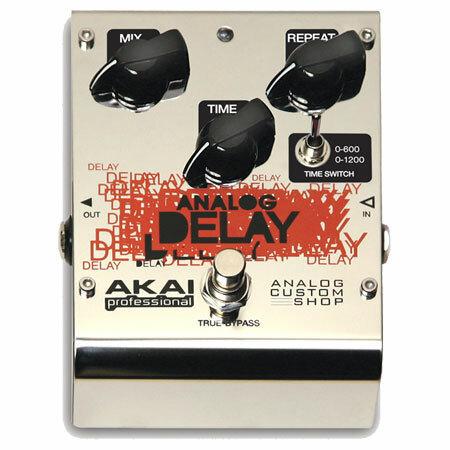 Analog Delay, Delay/Echo/Phrase Sampler for Guitar from Akai. Akai Professional announces that its new Analog Custom Shop line of guitar pedals is now shipping to retailers. The collection of ten guitar effects pedals was unveiled at the 2011 NAMM Show in Anaheim, California this past January. The ten guitar effects pedals that make up the Analog Custom Shop line are: Phase Shifter, Analog Delay, Blues Overdrive, Chorus, Compressor, Drive3 Overdrive, Deluxe Distortion, Flanger, Drive3Fuzz, and Drive3Distortion. 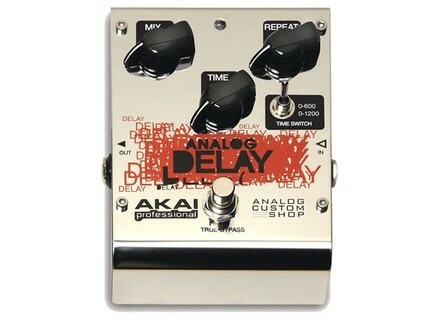 For more information about the Analog Custom Shop line of guitar pedals visit www.akaipro.com/analogcustomshop. Eastwood Airline ’59 Coronado The Airline '59 Coronado is described as Eastwood's tribute to the Supro Coronado model used by Dan Auerbach of The Black Keys. Boss RC-300 Loop Station Boss introduces the RC-300 Loop Station equipped with multitrack loop phrases, three hours of stereo recording time, built-in effects, real-time control options, USB, and more.